Brand new After Effects Script that allows you to Create Animated Lines, Shapes. 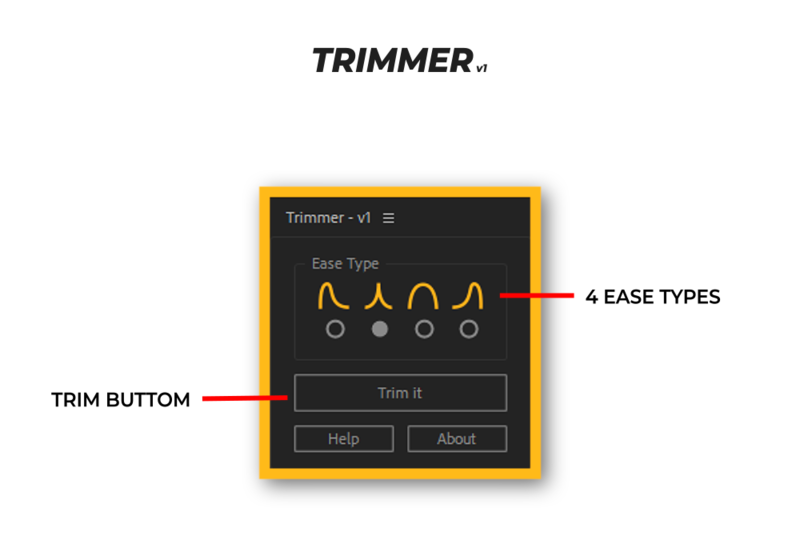 Animate any shape path with just one click, all you have to do is select the layer(s) select the Ease type and click on Trim It. Yes, it is that simple! Select from 4 Easing Type. Animate multiple layers with one click. Requires After Effects CS6 or Above. Works on both Windows & Mac. After Effects CS6 or Above. Includes In-depth Online Tutorial Link.